Following a reveal earlier this week, the Porsche Macan GTS is back in a series of videos and new imagery. 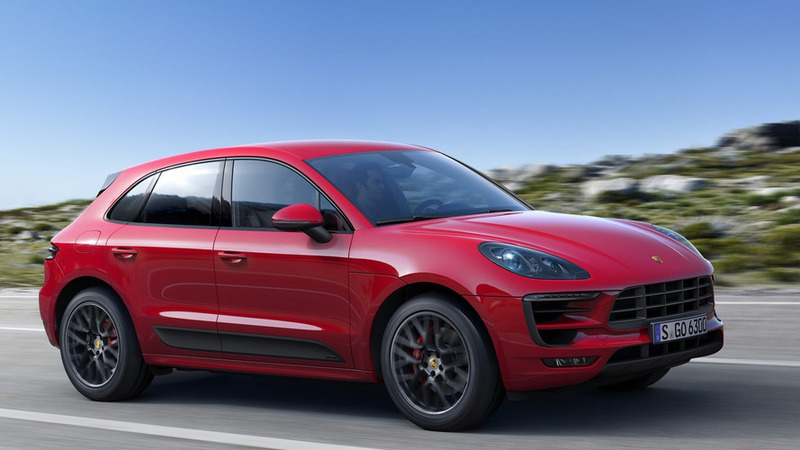 It started life as a Macan S, but now manages to bridge the gap until the Turbo by using an upgraded version of the V6 3.0-liter twin-turbo engine delivering 360 PS (265 kW) and 500 Nm (69 lb-ft) of torque which is enough to rocket the high-performance crossover to 62 mph (100 km/h) in a mere 5 seconds when fitted with the optional Sport Chrono package. The 159 mph Macan GTS adopts some subtle revisions compared to the S version such as the lightly modified front and rear bumpers, Satin Black 20-inch RS Spyder Design wheels, optional LED headlights (with Porsche Dynamic Light System Plus) along with several matte black & high gloss body accents. The interior has essentially been carried over, but now there are new sport seats covered in leather & Alcantara, a standard Porsche Communication Management (PCM) and optional Connect Plus module. Aside from infusing more power, Porsche has made some other technical changes by lowering the ride height by 15 mm and installing better brakes with 360mm front and 330mm rear rotors coupled to red brake calipers. It comes as standard with an all-wheel drive system and a 7-speed PDK transmission while the sports exhaust system aims to provide a powerful soundtrack. It’s already available in Germany from €73,400 and will hit the U.S. in March 2016 from $67,200 (plus destination charges).